As a final touch, we dropped in the real world Milhouse (and Puppy Goo-Goo! ), who were inked and colored in the usual manner. 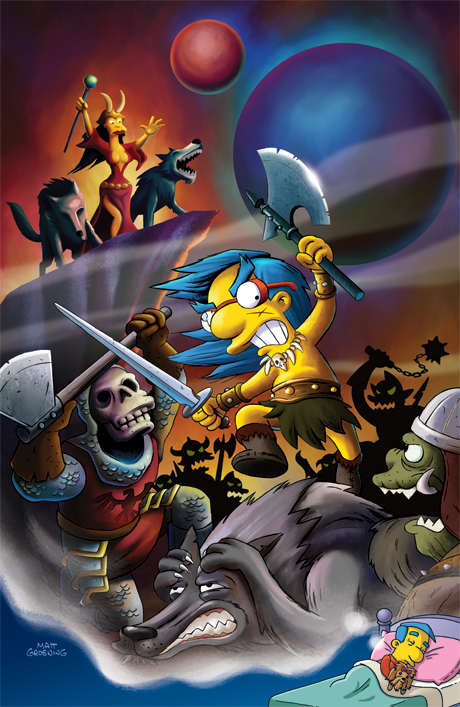 The juxtaposition of the two styles helps contrast Milhouse's fantasy life from his real life. And that, my friends, is how we do it here in the House of Bongo. Thanks for reading, and we hope you enjoyed these looks at our creative process!